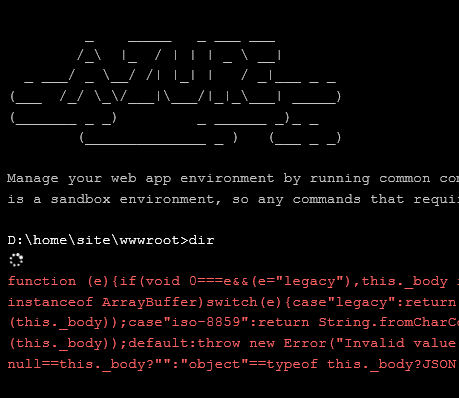 I have an azure function which suddenly stopped working. The documentation says this is because the storage configuration is invalid. I have verified the storage account and it is correct and exact same configuration work in other functions. When trying to investigate the cause, some things work while others just crash. e.g. open kudu shows a "yellow screen of death" with "the network path was not found". To solve it I just created a new function app with the same function and settings which works fine. Now I'm just curious what the problem might be so I can detect/avoid it in the future. How do the "fully" delete a Department from the Azure EA Portal? how to send azure push notification by portal in android? How to view current and past thread counts of an Azure App Service?